Rohtang Pass, which is around 51km from Manali is one of the most beautiful pass in the Himalayan region. It is famous for its astonishing beauty and thrilling road journeys. Rohtang Pass is the gateway to Lahaul, Spiti and Ladakh regions and travelers need to cross this pass to visit these regions. It is also getting increasingly popular amongst tourists, as an attractive destination from Manali, who visit the pass to view the beautiful landscapes and have an experience of snow even in the summers. 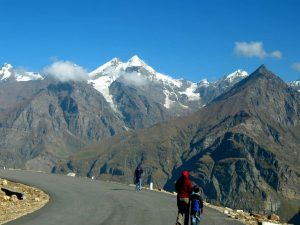 If you are planning a visit to Rohtang Pass, you must know that it is now mandatory to obtain a Rohtang Pass Permit for traveling up to the pass or beyond, as the case may be. All tourist vehicles that go to Rohtang Pass need to obtain the Rohtang Pass Permit from the Tourism Authorities. Permits are issued as per the quota defined by the NGT (National Green Tribunal) and the permit is valid only for one day i.e. for the day it has been issued. Both the permits are valid for one day only. Earlier, the permit was available at the Gulaba barrier, Tourist Information Centre and Commercial Vehicle Operators’ Union offices in Manali. But now, the online booking facility is available to help tourists obtain the Rohang Pass Permit in a hassle-free manner. Online facility is not available for the “Beyond Rohtang Pass Permit”. 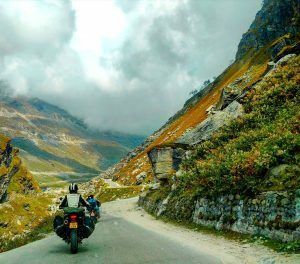 Four wheeler Vehicles over 10-years and bikes over 15-years are not allowed to travel towards Rohtang. 1. Rohtang Pass Permit Fee (Visiting Rohtang Pass for tourism purpose) . The National Green Tribunal has levied a permit fee of INR 500. Addition INR 50 is charged as congestion fees for all vehicles traveling to Rohtang Pass except buses and heavy vehicle for whom it is NR 100. This permit is valid only upto Snow point on Rohtang Road. Rohtang Pass Permits are issued based on daily quota defined by National Green Tribunal(NGT)/District Administration. In a week (Tuesday to Monday) only 3 permits can be obtained for each vehicle. 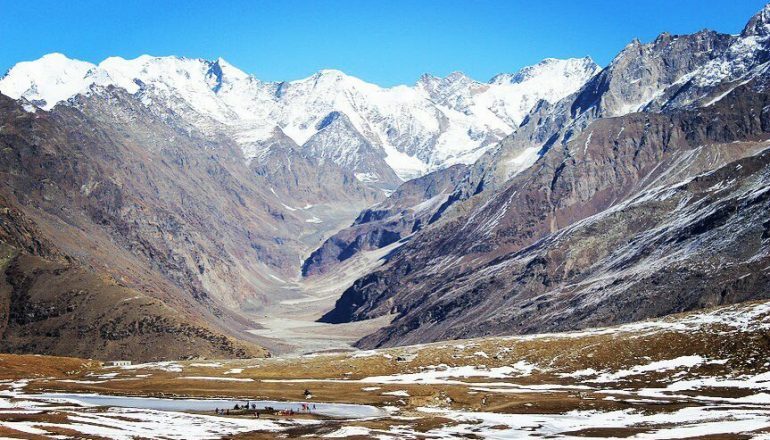 The National Green Tribunal has levied ZERO permit fees for Beyond Rohtang Pass Permit. Only INR 50 is charged as congestion fees except buses and heavy vehicle for which it is NR 100. There is no cap on vehicles going to Lahaul, Spiti,Ladakh and beyond. This permit can be easily obtained at the Gulaba Check point. Travelers who use this permit have to cross the Rohtanga Pass and cannot come to Manali on the same day. A penalty would be imposed on defaulters visiting Rohtang Pass on Lahaul’s permit and try to come back. There are check posts at both side of the road while visiting Rohtang Pass. Your Rohtang Pass permit and vehicle is registered at both the check points. So do not attempt to misuse the Beyond Rohtang Pass permit and try to come back same day. If you do that, you will be stopped and fined heavily at Gulaba check post. In a week (Tuesday to Monday) only 2 permits can be obtained for each vehicle. There is no provision for a refund if you try to cancel the permit. Vehicles having wrong information on permit as compared to valid proofs will not be allowed to cross the barrier. Click here to apply for the Rohtang Pass Permit online.